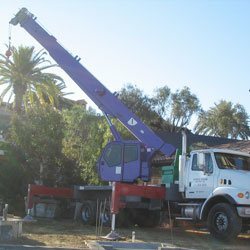 Since 1983, family-owned Purple Crane has provided comprehensive high quality crane rental services to Long Beach at extremely competitive rates. Our team of crane operators are certified by the NCCCO and have between 9 and 40 years of hands-on experience. In our 30 years of business, we have completed over 75,000 lifts, serving just about every industry in Long Beach. Every crane, truck, trailer, man basket and piece of rigging equipment in our inventory is constantly inspected and routinely serviced. 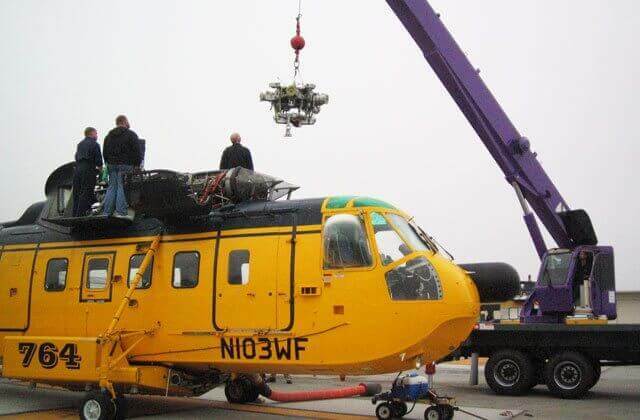 We do everything in our power to ensure a successful lift by following all OSHA regulations, using highly trained crane operators, and having a fleet of carefully maintained mobile cranes. When you call Purple Crane, our knowledgeable staff will ask you a series of questions that allow them to accurately determine the best crane for your Long Beach project. We are familiar with lifting large landscaping items, construction supplies, utility objects, shipping containers, building materials, machinery, HVAC units and more. 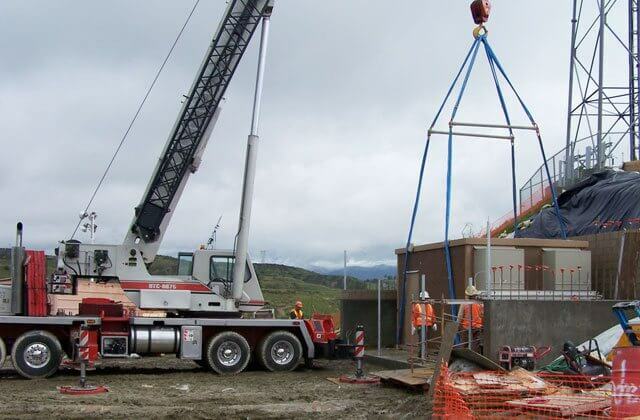 Our mobile cranes can be used to move objects to another place on the worksite, or to a location anywhere in Southern California, with the help of one of our trailers. We can even have another crane posted at the other end, ready and prepared to complete the lift. Purple Crane is insured by NBIS, who can generally provide certificates of insurance within a day. Additionally, we are proud members of SC&RA (Specialized Carriers & Rigging Association). Call us today for a quote. We welcome all forms of payment: cash, check and credit cards; or, we can open a credit account for those customers who qualify. Long Beach, CA Crane Service for Lifting Boulders, Trees, Etc. 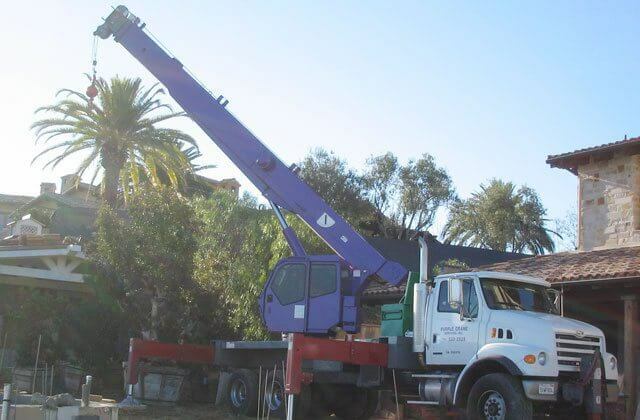 Long Beach residents and landscapers can trust Purple Crane to safely lift a variety of large, landscaping objects such as trees, rocks, statues, and fountains. These items can be placed carefully in a front, back or side yard, even lifted over another house or building. Whether for a large commercial landscaping project like a city park, hotel, or new building, or a private residence, we offer the same level of superior crane service at highly competitive rates. 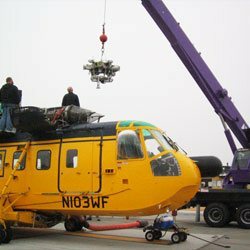 We can also provide removal and/or transfer of these items to anywhere in Southern California, or provide a man basket on one of our cranes for tree trimming. 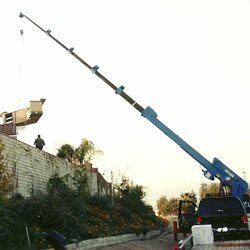 Purple Crane is the ideal choice when you want to safely and cost-effectively lift large shipping containers, crates or railroad cars in Long Beach. Our crane operators expertly maneuver our cranes over any terrain, and can carefully position shipping containers on any designated location. We can also stack multiple containers on top of each other, or transport them to another location. Call for a quote. We'll safely move these objects anywhere you need, including over rooftops. We also rent man baskets to carry one or two service workers. 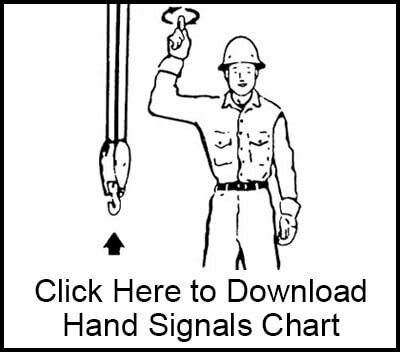 Our cranes allow your servicemen to reach cell phone towers, power poles, and street lights. 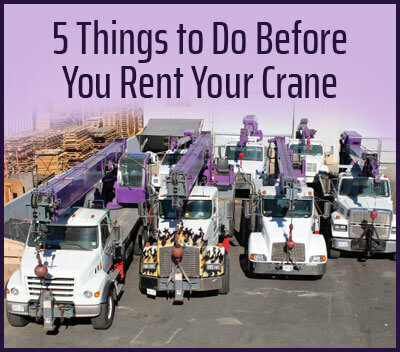 At Purple Crane, we will have your mobile crane and operator at your Long Beach job site on-time and ready to work. We set-up quickly and work efficiently to keep downtime to an absolute minimum. We'll move machines, materials and equipment of all dimensions for construction and industrial projects at a very competitive rate. Our dedicated team frequently lifts, transports and hauls away construction materials, such as wood beams, steel rebar, metal trusses, cement columns, cinder blocks, lumber, solar panels, and roofing materials. We also move medical equipment, manufacturing equipment, large appliances, printing presses, and more. Call us today to reserve your high quality crane service. 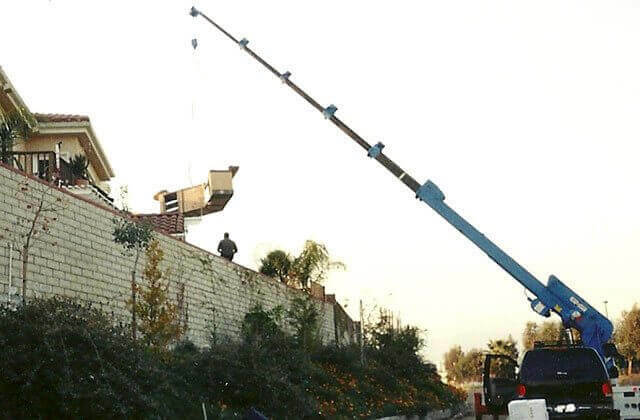 For big residential or commercial remodels, a crane might be required to facilitate the installation or removal of your gazebo, HVAC unit or air conditioner, spa, Jacuzzi, barbecue, or other large item. We have helped remove, transport and/or place outdoor furniture, equipment, and other structures throughout Long Beach. As an added bonus for those upgrading their HVAC units, we'll haul away and recycle your old unit at no additional cost. Our cranes can be used to assist landscapers in Long Beach when they wish to move boulders, statues, fountains, rocks and trees. If you also do tree trimming on occasion, we can provide a mobile crane truck with a one or two-person man basket for as little as two hours. Call today. We are available 24/7 to answer any questions, and can obtain an insurance certificate within a day. Our team is available 24/7 to speak with you about our high quality, affordable crane services for any lift project in Long Beach. We can schedule your crane rental well in advance, or help you with an emergency request. Just speak with one of our crane experts about the dimensions and weight of the unit to be moved, and where it is going, and we will reserve the right crane to get the job done at the lowest possible price. 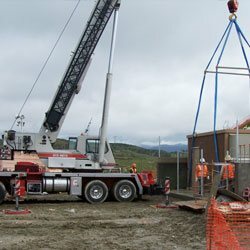 At Purple Crane, you can trust that we have the experience and knowledge to select and operate the right crane for your job, the first time, every time. Call us now at (909) 622-0600 to learn more about our services available in Long Beach.